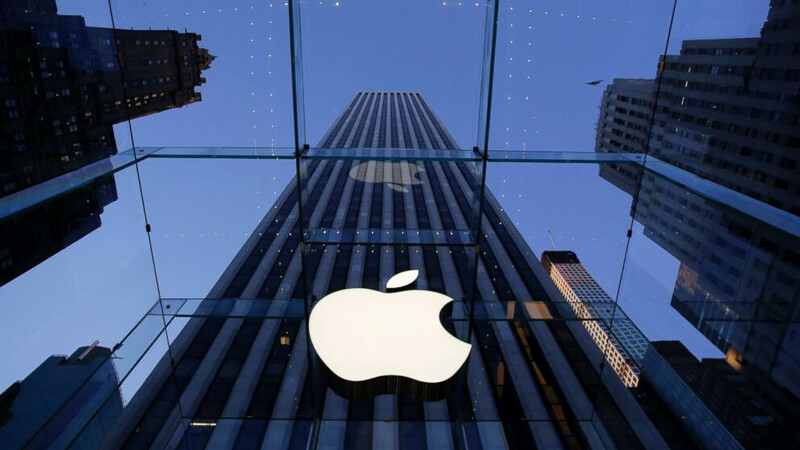 In a bid to comply with the China's cloud computing regulations, Apple has granted permission to local company Guizhou on the Cloud Big Data (GCBD) to operate Apple iCloud services on the territory of mainland China. The contract between the two companies comes into force next month, iCloud accounts outside of China won't be affected by the change. Apple has confirmed that both companies will have access to the data stored on the cloud servers. GCBD is owned by the Guizhou provincial government in southern China, where Apple last year invested $1bn in a data centre to meet local regulations, which require foreign companies to their data related to Chinese operations in the country itself. All relevant iCloud data will be transferred starting 28 February, Apple confirmed. 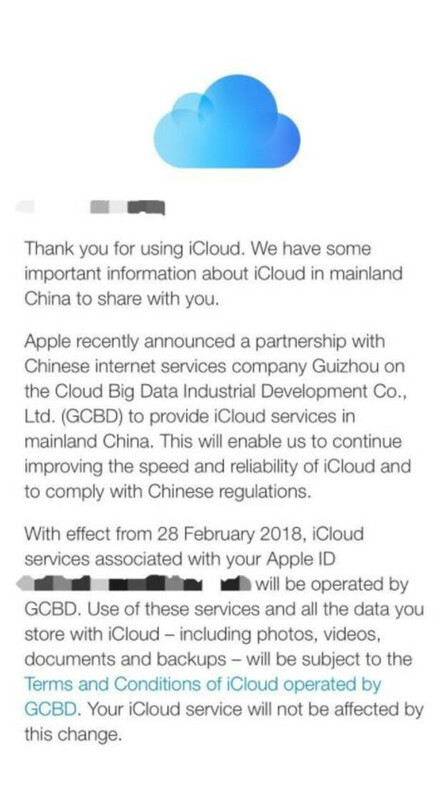 Customers living in mainland China who do not want to use iCloud operated by GCBD are given the option to terminate their iCloud accounts, according to the BBC. Apple has begun sending out the following message to iCloud users (pictured left) in mainland China. "With effect from 28 February 2018, iCloud services associated with your Apple ID will be operated by GCBD. Use of the services and all the data you store with iCloud—including photos, videos, documents and backups—will be subject to the Terms and Conditions of iCloud operated by GCBD. Your iCloud service will not be affected by this change." The U.S. tech giant reassures its customers that user data privacy is of the utmost importance for the two companies, and that "no backdoors will be created into any of our systems". However, many people online are sharing concerns over possible monitoring of user data and interactions by the Chinese government. I dont know if I would feel comfortable with this. Well if you live in any western country your calls, photo's & video are monitored at the ISP and carrier level anyway, at least the Chinese are open in that they do it. LOL western countries don’t censor or take actions based on your data. They have no choice. Also notice that no backdoor will be created or needed because the company taking over is directly owned/controlled by the government. I thought Apple would never betray their company values and principles ever. They should have fought better. This whole US vs China internet security thing must end sooner or later. It's hindering the market growth and customer choice. They have nothing to fight. Regulations are what they are. You pay or you don't play. All phone manufacturers comply to these rules.. so what’s your point?? ?